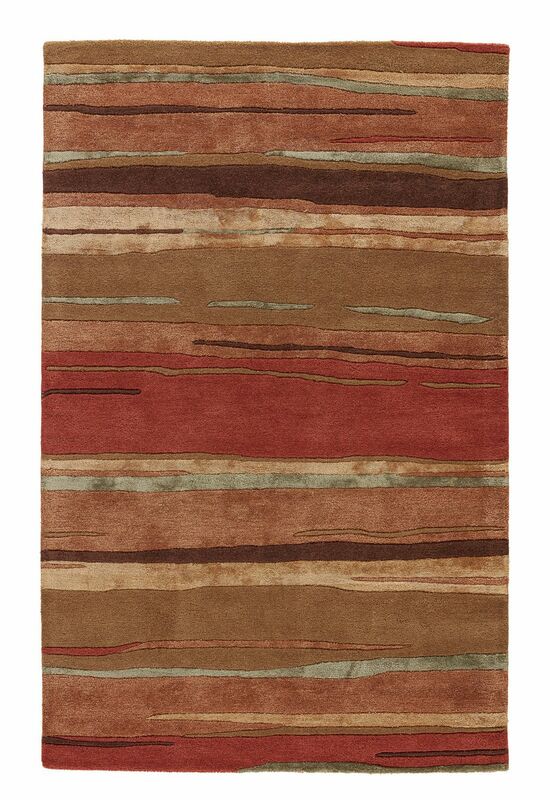 Jaipur Living Rugs BQ06 - Baroque - Swatches may be available. 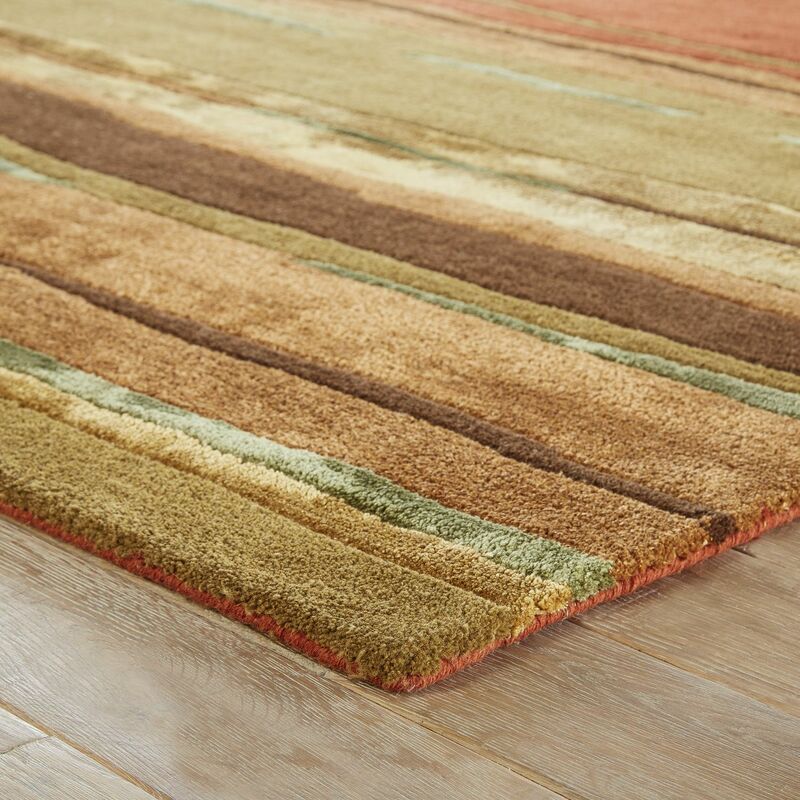 This hand-tufted area rug boasts a sumptuous blend of wool and viscose, offering hints of lustrous detail and a plush feel to on-trend homes. 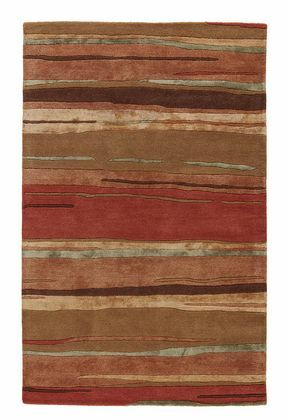 A modern pattern of variegated lines showcases rich tones of red, dusty blue, gold, rose, and brown for a sophisticated yet earthy colorway. Care and Cleaning: vacuum regularly without beater bar; professionally clean only. Rug Pad Recommended: provide extra cushioning and insulation with a premium hold rug pad. Colors may vary from images shown. We recommend ordering sample before placing an order. May be returned within 30 days for full refund. 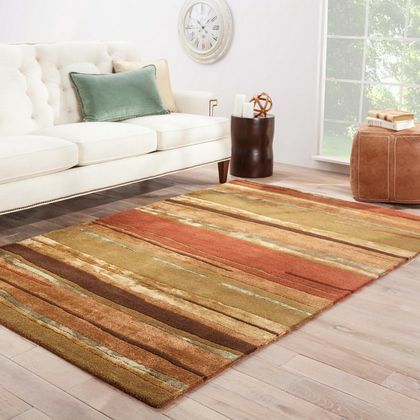 Jaipur Living Rug BQ06 - Baroque 3'6"X5'6"
Jaipur Living Rug BQ06 - Baroque 7'10"x10'10"
Jaipur Living Rug BQ06 - Baroque 9'6"X13'6"